When Oscar Peterson moved from Montreal to New York in 1949, the 17-year-old Bley took over his residency at the Alberta Lounge on Oscar's recommendation; in his twenties, he played with Charlie Parker. Bley started incorporating maverick pianist Lennie Tristano's approach to improvisation and collaborating with Charles Mingus, and in 1958 in Los Angeles Bley famously put together a band with Ornette Coleman, Don Cherry, Charlie Haden, and Billy Higgins. His move into free improvisation in the groundbreaking Jimmy Giuffre 3 brought him acclaim. After moving to New York, he was one of the performers at the Cellar Cafe in Bill Dixon's "October Revolution in Jazz" four-day festival, which led to Bley being one of the co-founders shortly thereafter of the Jazz Composers Guild. It was in the midst of that fabled month that Bley recorded his first LP for ESP-Disk' (sixth overall to that point), Barrage. Bley returned to the studio for his second ESP-Disk' LP a bit less than two months later. Closer finds Bley again heavily featuring then-wife Carla's compositions; she's credited on seven of the ten tracks, including two also heard on Barrage, "Batterie" and "And Now the Queen." They sound quite different on this quieter trio date, and the performances are more concise (no track breaks the 3:30 mark). Paul included one of his own tunes, "Figfoot," as well as Ornette Coleman's "Crossroads" and future wife Annette Peacock's "Cartoon." 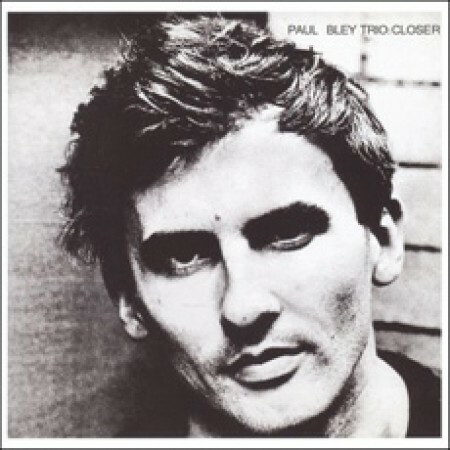 Closer features the distinctive pianism we've come to associate with Bley in one of its earliest recorded manifestations. The other players are fellow Jimmy Giuffre 3 member Swallow and, in his recording debut, Altschul. All compositions by Carla Bley, Alrac Music BMI except Ida Lupino (Carla Bley and Terry Adams, Syndicore/Alrac/farnsley Music BMI)), Figfoot (Paul Bley, Pablo Music & Syndicore Music BMI), Crossroads (Ornette Coleman, ESP-Disk' Music BMI) and Cartoon (Annette Peacock, Pablo Music BMI). Recorded NYC, December 12, 1965. Produced by Paul Bley at RLA Studios in New York City. Engineered by Richard L. Alderson. Original art direction by Jay Dillon. Digital remastering by Michael D. Anderson.